Good morning my BVI Family. It is very refreshing to greet you this morning with a tone of excitement and pride. History has been made! BVI WINS THE GOLD! Three cheers for Mr. Kyron McMaster, a focused young man of exceptional athletic prowess, who continues to do us proud and inspire in us a spirit of triumph and possibilities, regardless of the circumstances. 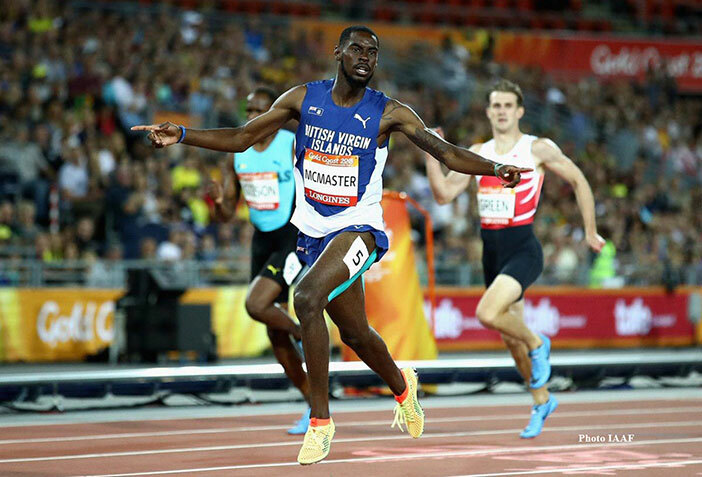 With him, the BVI has won the Gold Medal in the 400 Metre Hurdles at the 2018 Commonwealth Games in Australia. A strong sense of elation has ensued as we are galvanised around the news of this significant and unprecedented victory for Kyron and the BVI. I know that his parents are proud and that if his beloved coach Xavier ‘Dag’ Samuels were still here, he would have shed tears of joy as many of us have. We have experienced unprecedented weather patterns, but that has not stopped our hearts from beating. It has not stopped our spirits from shining, as we individually and collectively do our part in rebuilding a Territory that is recognised for its resilience and strength. THANK YOU KYRON for fueling our pride and showing the world who we really are. You are a prime example of BVI Strong!